A green energy generation system met 98% of residents’ fuel needs during a trial by the Isle of Canna Community Development Trust. Canna Renewable Energy and Electrification Ltd (CREEL) generated enough power through wind and solar to meet the needs of the community. For almost 20 years, Canna and Sanday’s 18 residents have had to rely on three diesel generators for power, as the islands are not connected to the National Grid. 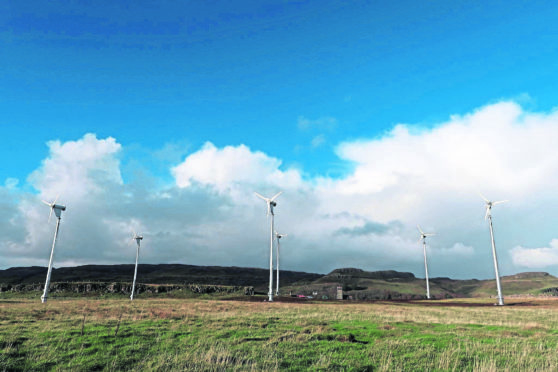 As a result of a community venture, Canna Renewable Energy and Electrification Ltd. (CREEL), power is now generated through wind and solar and linked to a battery storage system, which relegates the old generators to occasional back-up use. Geraldine MacKinnon, CREEL director said: “We’re delighted that our energy project is now completed and the turbines are making good use of this winter’s Atlantic gales. All profits from the sale of electricity used by Canna residents and businesses are ploughed back into running the system. The new system is expected to substitute the use of over 36,000 litres of diesel fuel each year, equivalent to 96.6 tonnes of carbon dioxide emissions. CREEL owns and operates the new equipment, construction of which finished in October 2018. On Saturday, April 6, the trust will stage a special event on Canna to mark occasion, to be followed by a celebratory ceilidh.